Why it’s daunting: The early ’70s were a time of transition for soul music. Stax and Motown, the dominant labels of the ’60s, started to lose their grip on the marketplace, and their attendant styles—Stax’s gritty Southern soul and the assembly-line perfection of Motown—started to give way to new sounds. It was also a time of abundance: A lot of talented people were recording soul music, as any single volume of Rhino’s classic, one-to-three-hit-wonder reissue series Soul Hits Of The 70s: Didn’t It Blow Your Mind!, makes clear. It’s hard to know where to dig in, but it makes sense to focus first on the city that defined the era: Philadelphia. Why? 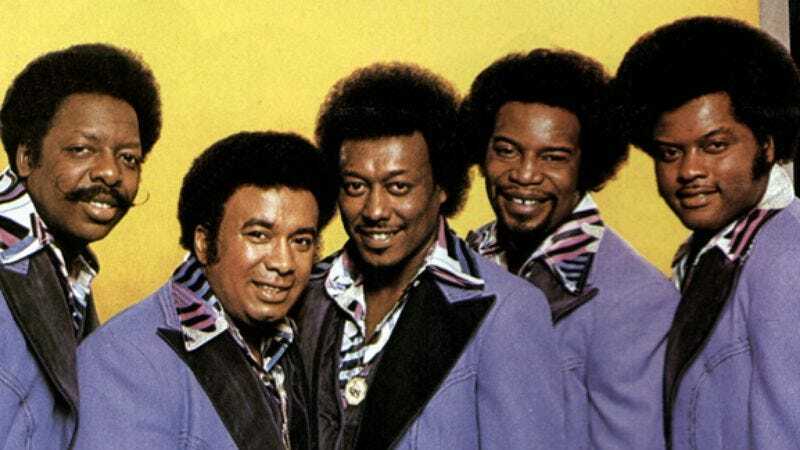 The Spinners formed in Michigan, had been around for more than a decade, and even scored a sizable hit, “It’s A Shame,” for Motown in 1970. But Motown dropped the group, and it picked up a second lead vocalist—Philippé Bell traded frontman duties with founding member Bobbie Smith—moved to Atlantic, and started recording with Bell. The group’s first Bell-shepherded effort, 1972’s self-titled album, spawned five hits, including the heartbroken pledge of devotion “I’ll Be Around,” “Could It Be I’m Falling In Love,” and “One Of A Kind (Love Affair).” It holds together beautifully as an album, too, featuring some of Bell’s warmest, most unexpected instrumental combinations. (“How Could I Let You Get Away” floats on strings… and then sitar.) Everything that set Philly Soul apart and made it the dominant form of soul music for the better part of a decade can be found here. Next steps: After getting your toes wet, you might as well jump into the deep end. The three-disc 1998 box set The Philly Sound: Kenny Gamble, Leon Huff & The Story Of Brotherly Love (1966-1976) presents an excellent survey of Gamble and Huff’s career, from their ’60s work through the prime of their Philadelphia International label, before the musicians they relied on started to defect and the sound they helped perfect began to evolve into disco thump. The giants of the era are all here, joined by passersby like The Jacksons and not-quite-superstars like Billy Paul (“Me And Mrs. Jones”) and The Three Degrees (“When Will I See You Again”). Also good: the four-disc, 2008 collection Love Train: The Sound Of Philadelphia, which expands the focus beyond the Philadelphia International roster and stretches the timeline into the early ’80s. Harold Melvin had top billing, but the name Harold Melvin And The Blue Notes has become synonymous with the group’s ’70s hits behind the unmistakable vocals of Teddy Pendergrass. Brought in as a replacement drummer, Pendergrass assumed lead vocal duties and helped the group charge the charts with “I Miss You,” “Bad Luck,” and “If You Don’t Know Me By Now,” which squeezes a lifetime of yearning down to the size of a 7” single. It is, in other words, the sound of Philadelphia.